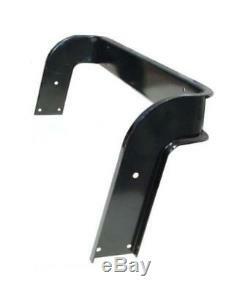 One New Aftermarket Replacement John Deere Seat Frame (Back Only) that fits Tractor models: M, MC, MI, MT. Must be Riveted or Bolted to the original seat. Our processing system is automated. The item "AM1956T Seat Frame Back Made To Fit John Deere M MT MC MI" is in sale since Tuesday, August 09, 2011. This item is in the category "Business & Industrial\Heavy Equipment Parts & Accs\Antique & Vintage Equip Parts". The seller is "reliableaftermarketpartsinc" and is located in Williamston, Michigan. This item can be shipped worldwide.